Seat Time is a chance for us to share our impressions of vehicles being tested in the Autoline Garage and at media previews from around the globe. I have a hard time getting myself to simply call the Flying Spur “a car.” A vehicle of this magnitude and heritage is more appropriately referred to as a “motor car.” It offers a comforting blend of traditional features and nostalgic trappings, fully modernized for the present day. And talk about presence. More than 17 feet long, over 7 feet wide and nearly 5 feet tall, its sheer size alone will turn heads. Add to that its classic proportions and it’s safe to say this car has few peers on the road today. And yet, despite its bulk and storied pedigree this car gits! 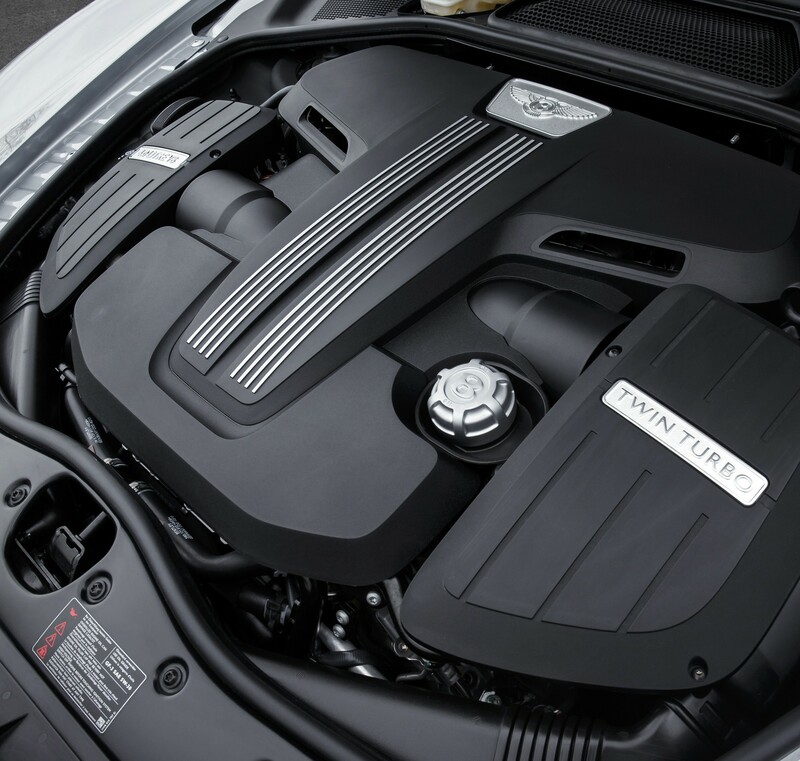 Thanks to a twin-turbo 4-liter V8 with 500 horsepower and 487 pound feet it has a weight-to-power ratio of 10:1. Only ten pounds for every horse to pull. That puts it in Porsche 911 territory. With its all-wheel-drive system and massively big brakes and you’ll find any excuse possible to take it outside to let it stretch its legs. This is a motor car that can purr quietly in luxurious splendor, or pick up its skirts and sprint like an Olympian. 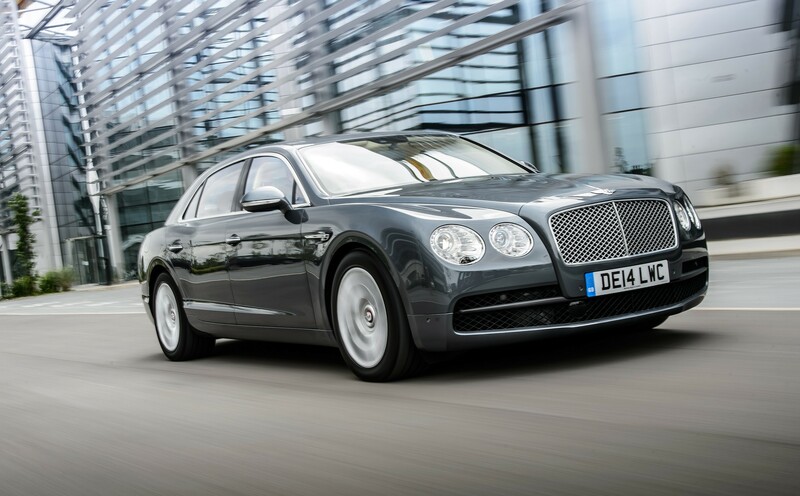 Bentley claims 0-60 mph in only 4.9 seconds, top speed is a claimed 183 mph. Based on my seat of the pants impressions, I’ll take them at their word. 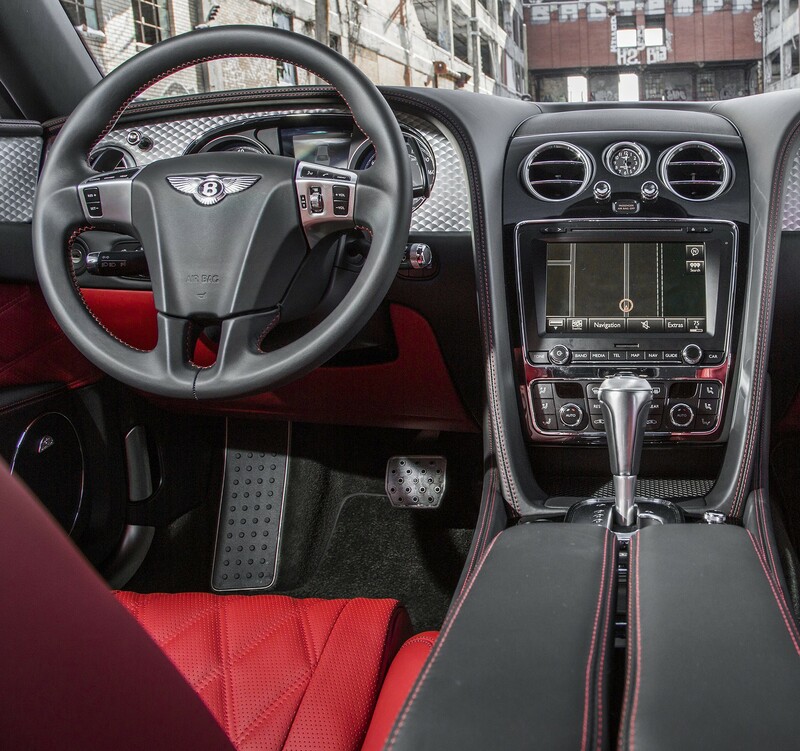 Inside, the Flying Spur is a captivating combination of luxury and sportiness. 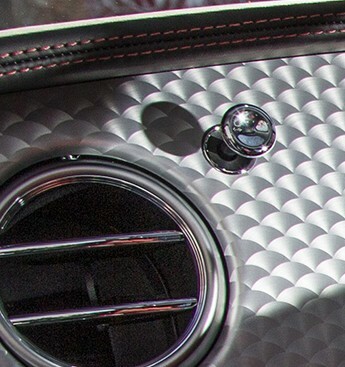 In addition to the requisite leather and wood trim, the door panels and instrument panel are accented with sheets of machine-tooled aluminum–a look with a lineage that goes straight back to the reknown Blower Bentleys of the 1920s. My favorite touch is the way you open and close the dashboard vents, with push-pull, chrome-plated sliding levers. Half a century ago this is how most vents operated and it’s pleasing to see that Bentley has kept them relevant in the modern age. 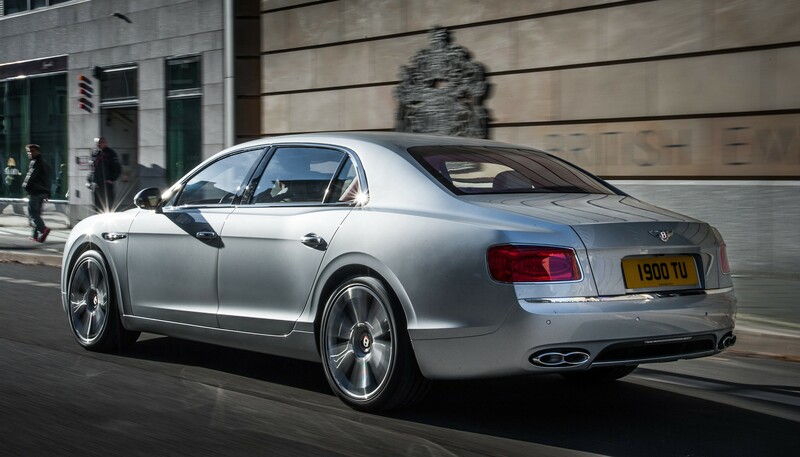 B ut as I’ve encountered with other Bentleys some of the electronics are not quite up to snuff. The back-up camera, for example, never came on until I had already backed out of the garage and down the driveway. The camera always seemed to come on just as I was moving the lever from R to D. Or is that just an modern-day homage to the long-gone days of Lucas electrics? It’s impressive to see how well Bentley is doing these days. The VW Group has done a masterful job of nurturing this brand. BMW has not done nearly as successful a job with Rolls. And with Maybach reduced to an S-class trim level, how can Mercedes possibly respond? If you’re a chief engineer working in the luxury segment you simply must experience this car to calibrate your senses. If you’re someone who has the money, you should simply buy it.